Creating a website and later promoting the website is the challenge that many individuals and businesses around the globe are facing today. With the competition rising and the online population growing daily, many businesses are making the right decision to build their profile online through a full-fledged website. However, the first hurdle in this path they face is creating and maintaining website as it requires the expertise of web programmers and developers. Not any more! Today, you can find a lot of online website builder tools and platforms, both free and premium, to create and maintain a website. These online platforms are quite effective as it solves the biggest question faced by every business owner today, which is how to make a website. Well, for the starters, it is essential to have a custom domain to look more professional. Even though, these website builder tools allow you to set up a free sub-domain website, it is highly recommended to opt for a custom domain. You can always register a good domain name from many of the popular domain registrars such as Godaddy, Namecheap and many others out there. However, most of these website builder tools will provide you a free domain name, if you opt to register with them and subscribe to one of their premium plans. Businesses can set up a fully functional website for as low as INR 122 per month, if they owned the domain already on online website builder tools like Wix. Even if they don’t, they can still get a custom domain plus the website builder tool in addition to some excellent features and templates at economical rates. 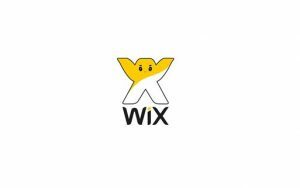 Well, those of you, who are not aware of Wix, should know that Wix is one of the top website builder tools out there. This website builder can get your website up and running within minutes of sign up, and you can learn how to make a website in no-time. If you already own a domain name, you can set up your website for as low as INR 122 per month. Also, if you are looking for an upgraded plan that also offers an eCommerce web portal with an online store eligible for online payments for a simple subscription plan of INR485 per month. With these premium plans, you can easily set up your website within minutes using simple and user-friendly features as well as different templates available on Wix. Now, that you have already set up your website, it’s time to move on to the next hurdle. Once the website is live, the big question is, how to promote your website in order to generate some relevant traffic and sales from them? Well, a fully functional website is useless without visitor traffic. Also, the businesses are expecting sales or leads through their website and in order to acquire that they need web traffic. Hence, the second step after launching the website is to promote the website to generate traffic and thereby sales or leads for the business. To make things easy, we have listed down 5 basic website promotion tips that would help you not only gain traffic but also help your website generate good authority in the industry. In this blogpost you can find some other extra tips on website promotion. Well, believe it or not, there are people searching for your products or services all the time on the web through popular search engines such as Google, Yahoo, Bing or others. However, they are not able to find your website on the list and instead reaching out to your competitors. The only reason for it is that your website isn’t optimized for search engines yet. Search Engine Optimization is a procedure that involves both on-page and off-page changes related to your website in order to help it gain higher on SERPs (i.e. Search Engine Result Pages). There are several guides and tutorials available all over the web that are more than useful to understand and implement effective SEO strategies to help your website gain relevant traffic through search engines. You can also hire SEO services from reputed Digital Marketing Companies or Professionals and let them handle all the operations related to SEO for your website. Another great source of traffic, other than Search Engines, could be Social Networking portals such as Facebook, Twitter, Google+, LinkedIn and many others. Today, it is the need for every business or brand to have social presence online in order to build positive branding and reputation in the industry. Having a good presence on popular social media channels can help your business reach out directly to the people through regular updates and interactive campaigns. Today, most of the time online is spent over these popular social media channels and it will not be wise to ignore the social media stream to generate good amount of referral traffic on a regular basis. Similar to SEO services, you can also hire individuals or companies for developing your brand over social media channels. However, you can also do it yourself by creating pages or profiles on popular social networking sites. All you need to make sure is to keep these profiles updated on a regular basis to keep your followers engaged with your brand. It is not easy to create content for social media all the time. Here’s where blogging comes into the equation. Businesses can use their blog section in order to reach relevant and potential customers by providing valuable insights about the industry and helpful articles or guides about the general problems relevant to your business or the industry. Well, not everyone of your potential customer would be searching for products or services on the web. Many would be researching about it before taking the ultimate buying decision. Hence, having a blog section with regular content updates with valuable information can do wonders for your business. Also, a blog can be a great medium to get in touch with your existing as well as potential customers by sharing company updates as well as updates about new product launches or services. List building is an integral part of any online business today. With a huge email list of subscribers, a business can easily reach out to a bunch of people instantly in order to inform them about any important news or updates relevant to the industry. Also, an email list could be a valuable asset when your business is planning to launch a new product or service, in order to gain instant response from your list of subscribers. List building can be a complicated job for newbies. However, with the help of an email newsletter plugin or widget, a business owner can easily set up a Newsletter Sign up form on their website to capture emails of anyone, who wishes to subscribe to your newsletter. Owing to the immense competition, it may be hard to find such subscribers. But, you can always offer an incentive such as discount offers, exclusive deals, or some valuable resources such as helpful guides in exchange for an email subscription. This method of building email lists is quite popular among the bloggers and many online ventures out there. Last but not the least, a business must focus on visual media to generate a buzz around their venture online. Having a website with great search engine traffic and social media referrals is not enough now days. If your business is not taking advantage of the trending visual media, then it is missing out on a lot of traffic and potential customers. Today, people are using the internet through their Smartphones. And, in this age of WhatsApp, there’s hardly anyone who has got the time to check a website or blog updates on a regular basis. However, these folks are quite attracted towards visual media such as videos, pictures, cool gifs, infographic images, online presentation etc. In this age of Instagram and WhatsApp, it is a must for every business to invest a good amount of money to create visual media content in order to gain success online. Such visual content can generate instant traffic to your website, if such content is appealing to the audience. Also, if you can create such content on a regular basis, then it will also help build good reach over social media channels as well. That’s it. After launching your website, all you need is to focus on these 5 simple ways mentioned above to promote your website online. Gaining a good grip over these 5 basic website promotion methods can do wonders for your business in terms of sales and profits. Thanks for such a informative article. I will use these for my blog promotion, especially the techniques which I did not know about. Thanks!